Redefining the Face Of Beauty : AMAZING EYELINER TIPS! !...Bobbi Brown "Long Wear Gel Eyeliner" and more! AMAZING EYELINER TIPS! !...Bobbi Brown "Long Wear Gel Eyeliner" and more! 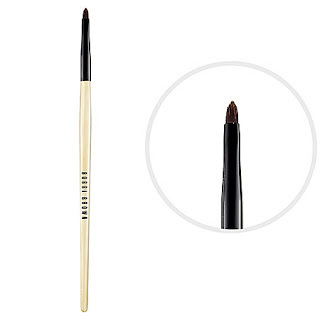 If you are looking for an eyeliner that does not smudge and gives you long lasting coverage then try the "Bobbi Brown" Long Wear Eyeliner. This eyeliner comes in a small circular container featured in the photo. It is more expensive then the average eyeliner (Around $27), however, it lasts all day long and you do not have to worry about it smudging or moving on your face throughout the day. There are definitely eyeliners under $10 that may fit your budget, even though they will probably not last as long or smudge more. This particular eyeliner comes in various shades which include the following: Black, Chocolate, Shimmer Ink, Blue, Green and more! If you are looking for basic shades and that will highlight your features, go for the traditional shades like black or brown. For example, if you have lighter hair and fair skin, try the shades "Chocolate" or "Shimmer Ink." Black is generally universal, but it has a strong tendency to make the eyes look smaller if it is applied too heavily. This product can be purchased at places such as Sephora or Bobbi Brown Cosmetics Online. The stores are generally very good about returning the items, even if they have been used. In addition, in order to use this product, an eyeliner brush should be used. It is similar to the thin brown pencil like item that is featured in the photo. WHAT IS A PORE FILLER? PRODUCTS TO CONCEAL LARGE PORES!